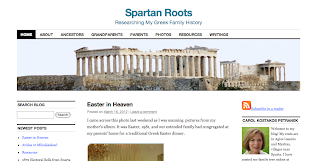 "Spartan Roots - Researching My Greek Family History". I really enjoyed it. Let's support our friend by following her blog - we should all learn something along the way.